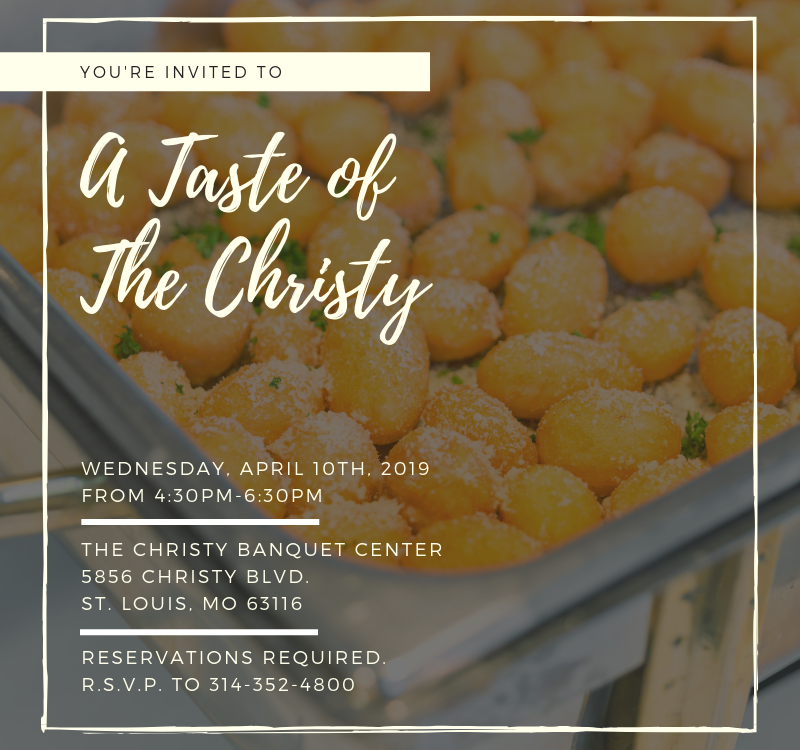 RSVP to “A Taste of The Christy” April 18th. RSVP to “A Taste of The Christy” February 28th. 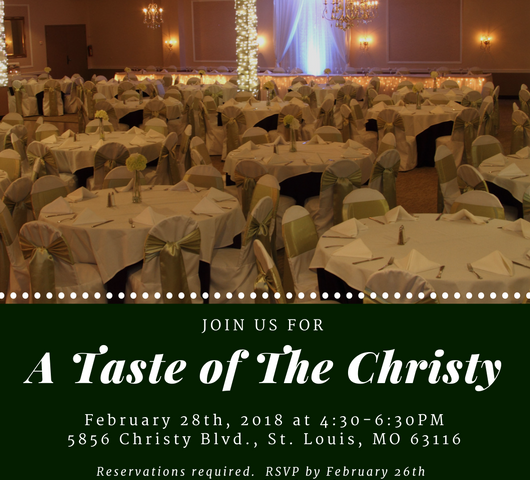 The Christy Banquet Center & Catering invites you to our next “A Taste of The Christy” on Wednesday, February 28th, 2018 from 4:30 pm to 6:30 pm. sample our most popular menu items, and discuss the details of your event with our team of Event Coordinators. 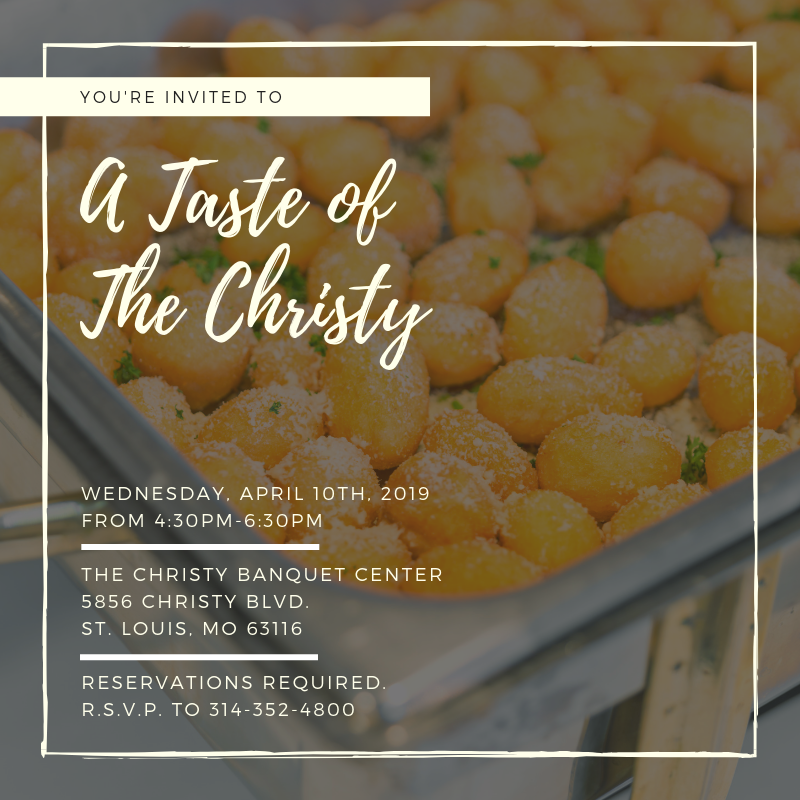 Reservations are required, call us today at 314-352-4800 or email kim@thechristy.com to R.S.V.P.